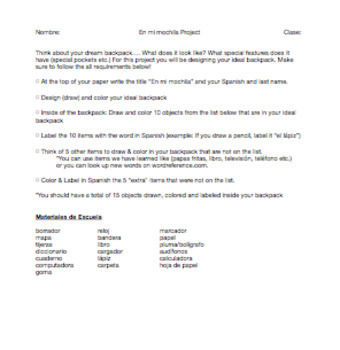 -A communicative activity students can do with a partner using the backpacks they drew and labeled. While this resource uses vocabulary from the Avancemos textbook series, it is common school supply vocabulary that is used in most textbooks. Both documents are EDITABLE so that you can add or change anything to them.